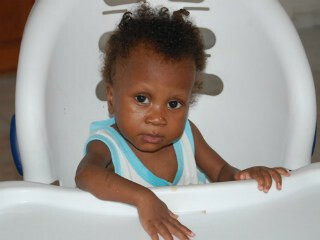 There are more than 400,000 orphans living in Haiti, and formula is the main food source for orphaned babies. Most of these infants can’t digest standard formula due to a lack of prenatal care and underdeveloped systems. Chances for Children, a SeeYourImpact partner provides the ‘Expert Care’ formula these children need to manage lactose intolerance, allergenic issues, diarrhea and digestive problems. Formula is provided by registered nurses, and is only mixed with filtered water in sanitized bottles. 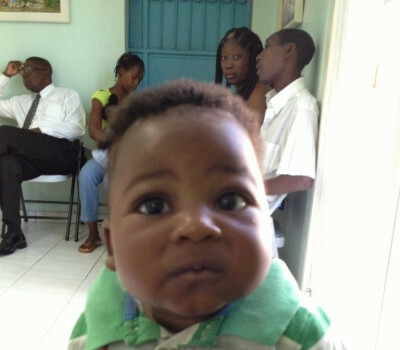 A donation of just $80 will provide a month of formula for an orphaned baby in Haiti. The tell tale symptoms of malnutrition include brittle skin, red hair, bloated stomach and lack of muscle tone. No matter how much food a child in this condition is given, it is impossible for their bodies to digest and grow. Chances for Children, a SeeYourImpact Partner, provides these children with Medika Mamba (creole for Peanut Butter Medicine) an energy dense peanut butter, significantly fortified with protein and nutritional supplements. Medika Mamba both helps children battle the serious effects of malnutrition and provides jobs to peanut farmers in Haiti. 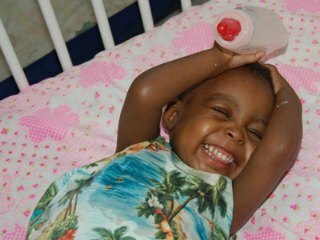 With just $75, you can provide three months of Medika Mamba for a child in Haiti! An answer for a hungry baby.